iBall has expanded its Slide tablet portfolio with yet another entry for the Indian market – the iBall Slide 3G17. The tablet has been priced at Rs. 8,199. Listed on the company’s website, the iBall Slide 3G17 tablet runs Android 4.2 Jelly Bean out-of-the-box. It comes with dual-SIM (GSM+GSM) 3G support with voice-calling and dual standby features. The Slide 3G17 tablet comes with a 7-inch 5-point multi-touch display. with a resolution of 480×800 pixels. It is powered by 1.3GHz dual-core Cortex A7 processor (unspecified chipset) alongside 512MB of RAM. The new Slide 3G17 tablet sports a 2-megapixel rear camera with LED flash, while there is also a 0.3-megapixel front-facing camera onboard. It includes 4GB of inbuilt storage, out of which only 2GB will be user available, that is further expandable up to 32GB with microSD card. The tablet packs a 2500mAh battery. Connectivity options on the iBall Slide 3G17 include Wi-Fi, Bluetooth, Micro-USB, GPS/A-GPS and 3G. 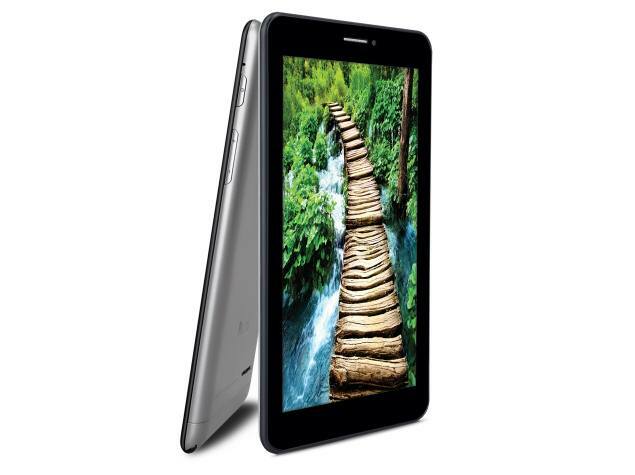 The iBall Slide 3G17 tablet is also available for purchase via Snapdeal at a price of Rs. 7,649. Earlier, the company launched iBall Slide 3G 7271 HD7 at an MRP of Rs. 8,999. The dual-SIM 7-inch (1024×600) tablet comes with similar specs. It is also powered by 1.3GHz dual-core Cortex A7 processor coupled with 512MB of RAM. It sports a 2-megapixel rear camera with LED flash, while there is also a 0.3-megapixel front-facing camera onboard. It includes 4GB of inbuilt storage which is further expandable up to 32GB with microSD card. The tablet packs a 3000mAh battery. Connectivity options on the tablet include Wi-Fi, Bluetooth, Micro-USB, GPS/AGPS and 3G.